Steven van Zadelhoff added a partypoker POWERFEST title to his resume on Wednesday (WPT photo). Former #1-ranked player Steven van Zadelhoff had a little bit of celebrating to do on Wednesday night. The Dutch poker pro beat out 251 other players to win partypoker POWERFEST Event #49 High Roller ($530 Deep, Six Max) for $25,368.23. Germany’s ‘Colette1986‘ finished runner-up and earned $23,771.80 after agreeing to a deal with van Zadelhoff. Jamie ‘lipkinator’ O’Connor wound up in third place and pocketed $13,884.94 for his efforts. van Zadelhoff’s victory was one of three High Roller events on the POWERFEST schedule on Wednesday. The biggest score came from ‘Mr.Master98‘ who earned just over $42,000 from the prize pool and bounties combined after winning Event #50 High Roller ($1,050 PKO, Eight Max). ‘EmilioSurita‘ finished in second and added $18,977.67 to his bankroll. ‘AndreshhParty94‘ rounded out the podium finishers, earning $17,514.65 in the process. The third and final High Roller event went to ‘madgenius87‘. 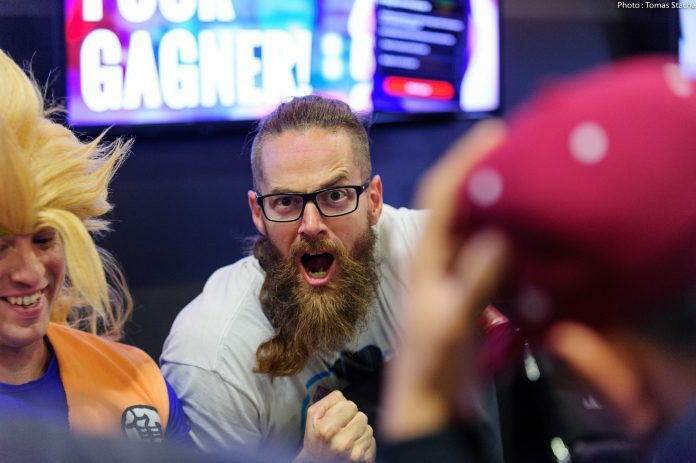 The Austria-based grinder beat out 202 players in Event #52 High Roller ($530 PKO, Fast, Mix Max) to win $9,302.02 plus an additional $9,634.65 in bounties. ‘BLOCKFLEX‘ finished second for $9,292.80 and $4,737.33 in bounties. One day after winning an event, ‘SchelampiguUhu‘ posted a third place finish for $6,537.56 and $5,629.17 in bounties.